Watkins Glen sits on Seneca Lake, in one of the smallest counties in New York. Last year, New York started pushing local governments to share services, like construction equipment or personnel. The idea was to cut costs and lower property taxes. Several Southern Tier counties have bought in, with cities, towns and villages joining to submit a plan to the state. Once approved, the state matches any savings. But, few school districts have joined, even though they take the largest share of property taxes. One district that’s considering it is Watkins Glen. 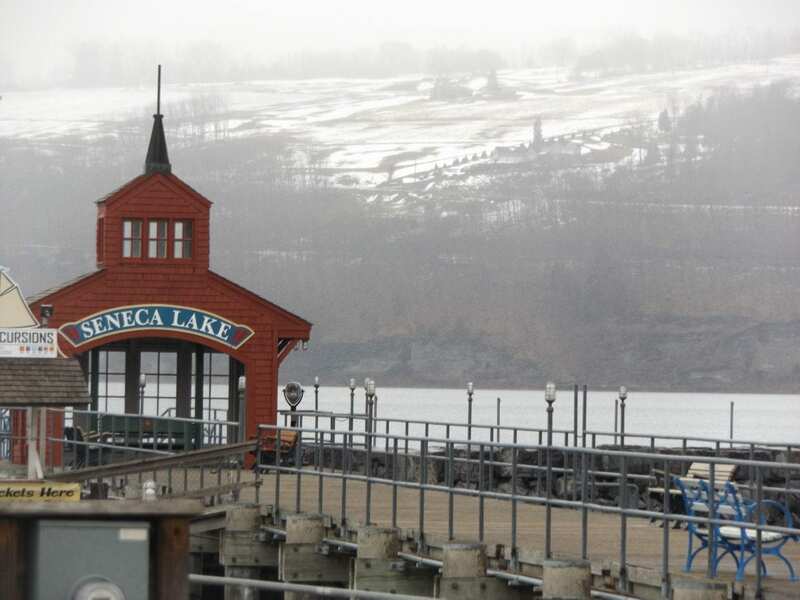 Even in cold winter months, the shores of Seneca Lake in Watkins Glen are scenic. The blue-green water ripples when hit by the light snow floating from the sky. Despite the water, a major race track and access to Finger Lakes wine trails, Watkins Glen is in one of the tiniest counties in New York. Schyuler has been sharing services for years. In a small county, budgets can be tight so many have looked for ways to save money, even before Governor Cuomo’s shared services initiative. In that program, counties invite cities, towns and villages to put together a plan to save money and the state would match those savings. “Working with local government, working with county executives, finding ways to get those property taxes down,” said Cuomo at his State of the State Address this year. Counties also invited school districts, which are a big player when it comes to property taxes. Schools districts make up more than 70 percent of the average homeowners property tax bill. “If you’re truly looking to lower property taxes, you can’t do it without involving schools and without looking for efficiencies and savings on that front,” O’Hearn said. O’Hearn said he got some early interest from schools last year, but none joined. School leaders say they do share services, mostly with each other. For example, they save on personnel by sending students from several schools to one program at BOCES for technical classes. Plus, there are rules that prevent schools and municipalities from working together. Here’s an example. Many districts want to be more energy efficient, but a state law limits where schools can put solar panels. They have to be on their property. Seven counties in the region submitted plans. None had schools participate. That was the case for most counties in New York, but the ones that did have schools participate were some of the most successful. “What we found in those instances was, in some levels, a more robust plan,” Malatras said. The savings came from things like sharing equipment for construction projects and sharing knowledge between municipalities and schools on healthcare or IT costs. For Schuyler County, some savings with schools could come this year. Watkins Glen School District has a new superintendent, and he’s interested in joining the shared services panel. That’s significant. Watkins Glen is the largest district in Schuyler County. For O’Hearn, that’s a big point in his favor. Still, O’Hearn says that some of the biggest burdens on counties preventing lower property taxes is the cost of state mandates, like Medicaid. If New York State took over those costs, it would cut the property tax rate by a third right out of the gate, he said.